Join us in The Bunker on Friday 16 March for a special St Paddy’s Show with The Barleyshakes – featuring Irish dancers and supported by Anna & Jordan. The Barleyshakes manage to hold hands with the tradition of Irish music while infusing it with a fresh and contemporary spirit. 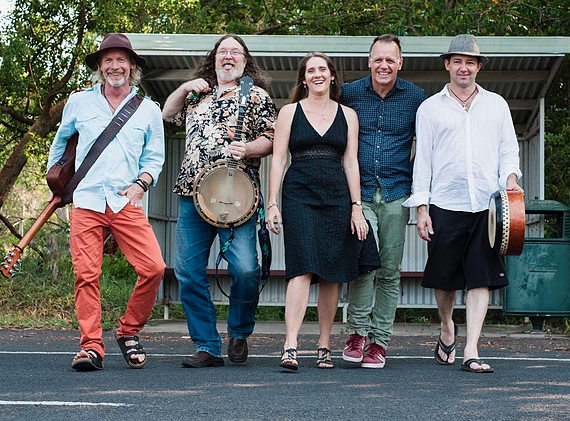 Intense energy, beautiful harmonies, and irresistible dance rhythms are responsible for their longevity, performing since their inception in Dublin in 1995 and two members contributing to Fellowship of the Rings award-winning soundtrack. Their new and 8th album ‘Irishtown’ is being hailed as their best yet. N.B. Tickets to The Barleyshakes St Paddy’s Show also include free entry to a special screening of ‘The Commitments’ in The Bunker the next night, Saturday 17 March.